Engross yourself in an infinite procedurally generated world above and below that is never the same twice. You’re the sole survivor of a plane crash, luckily or unluckily, depending on your outlook, you manage to end up on an island in the middle of the Pacific Ocean, now all you need to do is survive. “Discoverer unique biomes ranging from lush colorful reefs to deep and dark trenches filled with hundreds of fully interactive marine wildlife. Take on swirling stormy waves or kick back and enjoy a calm sunset, all from a fully dynamic day/night weather system. Do you have the guts to take on Mother Nature and put your survival instincts to the test? •Infinite procedurally generated terrain and biomes – no two games are the same! •Custom built water with realtime buoyancy, subsurface scattering, volumetric fog, god rays, caustics ..and foam! Doesn’t it look so luscious! Picturesque almost. 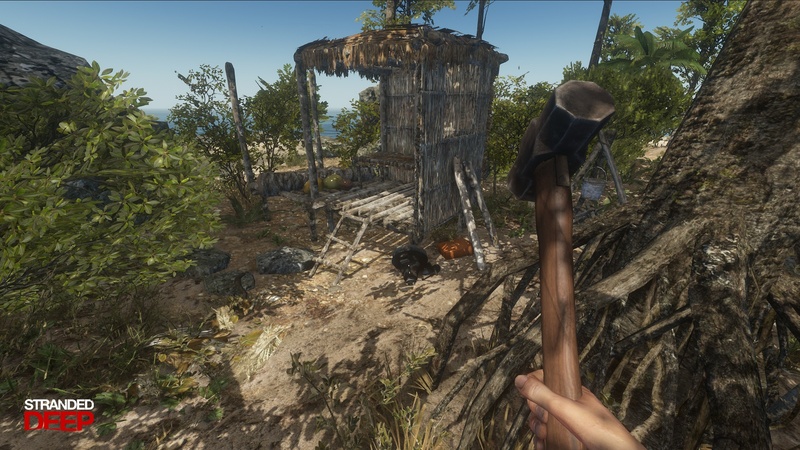 I know what some of you might be thinking, “ugh another survival game?”. Yes there are a lot of them popping up at the moment, but to me there aren’t any like this one, well not that I’ve seen anyway. Usually most survival games have some sort of mutant, zombie, or another type of enemies to deal with, sometimes it’s even other players. 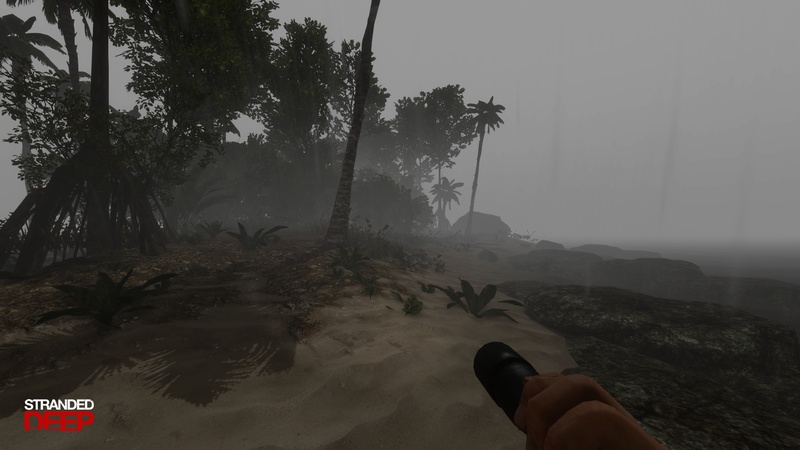 But Stranded Deep looks pretty isolated, and I get the impression you will end up feeling pretty lonely. The main enemy from what I’ve seen so far lurks below the water. I don’t know what it is about video games with open water, but it kind of terrifies me. I used to hate swimming in Far Cry 3 because I knew that at any moment a shark would probably pop up, same with GTA V. Maybe it’s because you don’t usually see them right until the last minute, or you might glimpse a fin and then a second later it’s gone and I’m treading water thinking “F**k, f**k, f**k where did it go”. It really unnerves me… Actually you know what, I’ve just talked myself out of playing this now. I’m, already too scared… stupid sharks! Check out the blog post here for full info. 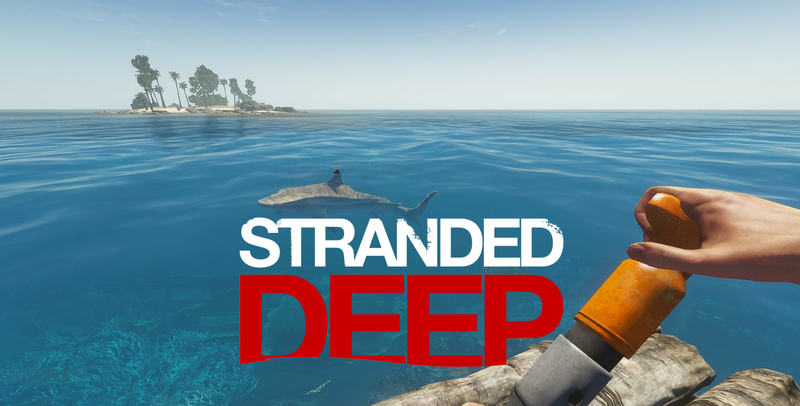 You know what else it great about Stranded Deep, it has a release date, and it’s really close. It will be coming to Steam on the 23rd January, so go and add it to your wish list! Personally, I think this is looking fantastic and I can’t to give it a go, even if I will be too scared to go in the water. This looks amazing, but why isn’t it multiplayer!! There is talk of co-op, but I don’t know when.